The majestic views of the Rocky Mountains are some of the most spectacular sights in Colorado. Although I am blind, I remember what the views are like from my youth when we took a family vacation driving through this range and stopping at the top of Pike’s Peak. That first experience in the mountains made me realize how small I truly was in this world. I never imagined that I would ever attempt to climb one of these wondrous mountains. 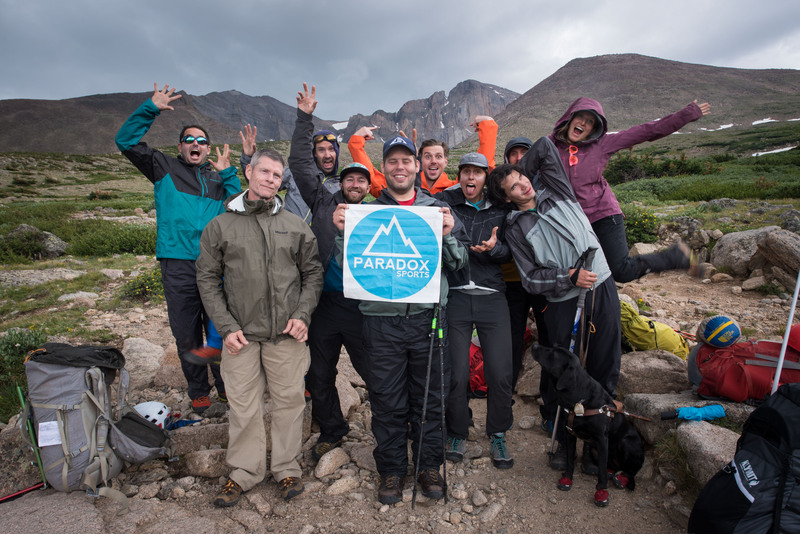 Paradox Sports is an organization that provides the opportunity for individuals with disabilities to get outside and learn skills to climb safely outdoors. This is one of the main reasons why I have decided to take part in their trips. The Rocky Mountain trip was my second and most demanding one yet. 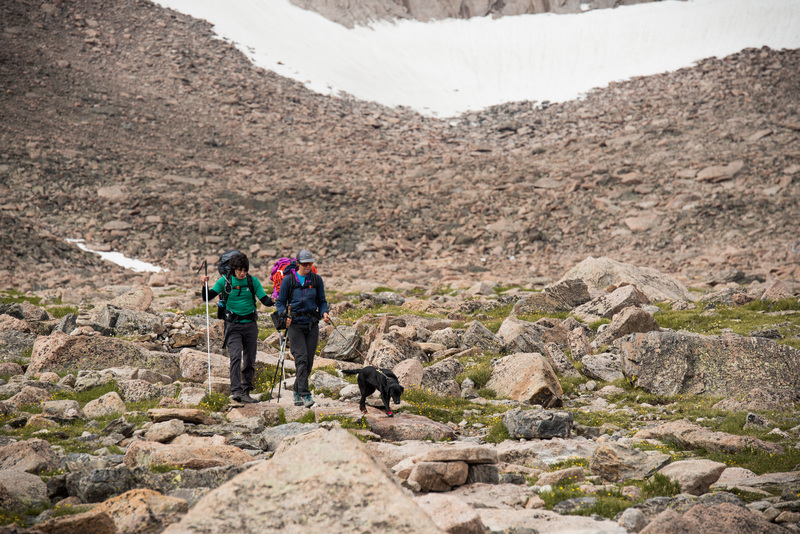 The goal of this trip was to summit Long’s Peak which is one of the 14,000 foot peaks in Colorado. I undertook this opportunity in order to determine if mountaineering is an area of climbing that I would want to invest more time and training towards. What I came to learn about myself was more than I ever thought would be possible on a single trip. One of the first tasks at hand was meeting all the guides along with the other participants that would be on the summit attempt. We spent the first evening packing our gear for the next day’s early departure for the trail head. That night I slept very little because I was ready to begin what would be a great adventure up Long’s Peak. The next morning came and we got out gear together ate a quick breakfast and set off to hit the trail in order to make it to the boulder field and set up camp by the late afternoon. Once on the trail I quickly noticed how difficult the terrain was and assumed that the terrain would only get more challenging as the day progressed. I felt strong as I moved up through the trail, but as the day began to wind down that would change. Once I hit tree line I began to move slower which I attribute to the terrain, the heavy pack, and the altitude. I spent six weeks prior to this trip training in the gym conditioning my body for what I could expect, but nothing I did prepared me for the mountain. The hours rolled on and my body continued to be beaten down by that mountain, but I just kept placing one foot in front of the other and marched on up the trail. The late afternoon typically brings the rains and I had to stop to put on my rain gear in preparations to walk in the storms. What happened shortly after the rains began would stay with me for the rest of my life. 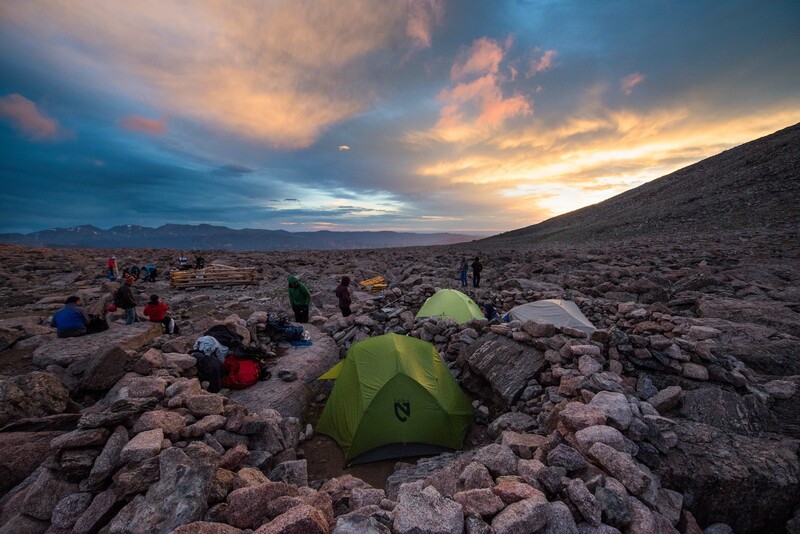 Program Director Adam Fisher approached me and said, “We are moving very slowly, and at this current pace it could take us another three hours to travel the 1.75 miles to camp. We have three options here… 1. We can keep moving the way we are, 2. We can camp here and make our way down the mountain tomorrow, or 3. You can give up your pack and let us help you make it to camp.” This was the pivotal moment that I realized that it takes a team to move through the mountains successfully, and it is alright to accept help when you need it because everyone needs help now and again. I told Adam, “I did not come this far to just come this far,” so I gave up my pack and we continued towards the boulder field. Once we reached the boulder field I then had the help of Shelley, another Paradox Staff, to help me navigate through the boulder field while Adam went ahead to set up his tent. At this time I had already been on the trail for about eleven hours, and it probably took me another hour to move through the boulder field to reach my tent. This was probably one of the toughest quarter miles that I have ever done in my life. My body was just beaten down and with every step I was losing more energy. There were many times when I just felt like collapsing in the middle of the boulder field for the night. But I realized that this was my mind telling me that it is alright to give up no one will think any less of your effort. This was another pivotal moment that would help to define my character on this trip because the easy way out is to just give up, but the hardest thing to do is to continue despite the adversity that is right there in your way. I shoved those negative thoughts down and just focused on the next step because if I could take one step then I could take two steps. I focused on each step until I reached my tent and collapsed for a good night’s sleep because tomorrow I would have to do it all over again. As with any mountaineering trip, you are at the will of the weather and many other factors. Thunderstorms were moving in the following day and our summit was unattainable this time around, so as a team we chose to hike down on Day 2 before the storms hit. 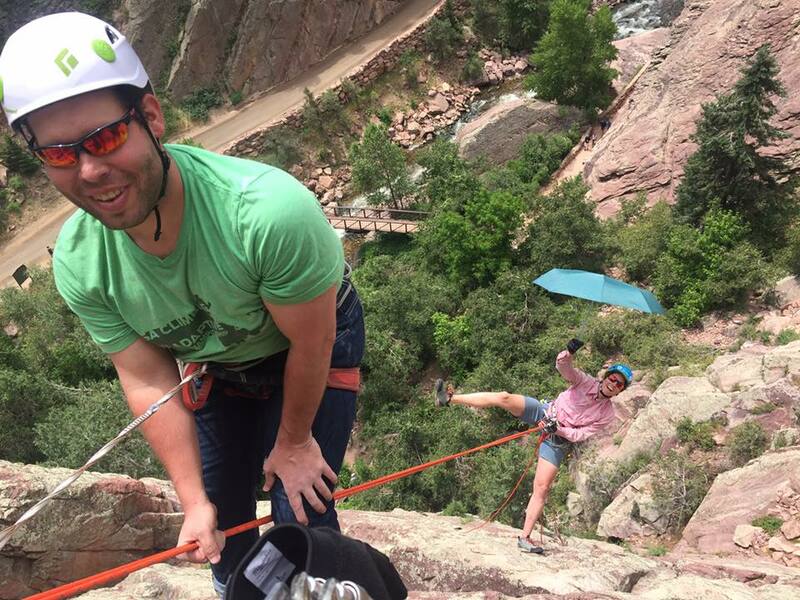 This gave us the opportunity to climb in Eldorado Canyon State Park the last day and continue to work on skills – I did my first multi-pitch rappel on the Wind Tower! This trip made me realize the kind of person that I am and who I strive to become. I learned that pain for the most part is temporary, and it is in those few moments of pain that will define the type of person that you are in life. This pain barrier helped me to figure out that the body can endure more than the mind believes it can. That I have an unrelenting desire to reach success no matter what lies before me and with perseverance anything can be achieved. Paradox Sports and all those that help with their events are there not only to help individuals experience the great outdoors, but I truly feel that they want those with disabilities to understand that anything is possible. This Paradox trip will stay with me for the rest of my life. I will remember the lessons that I learned from this trip and take them on all of my adventures in the future to which there will be many. Experiences like this will change your life. I know it has changed mine for the better.